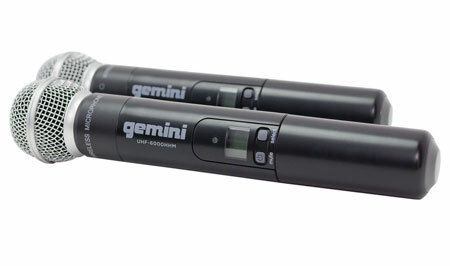 The UHF-6200 Wireless Handheld Mic System provides you with unlimited independence to use your energy and movements all over the stage without any fear of hanging cables. Do explore the boundaries of passion with UHF-6200. 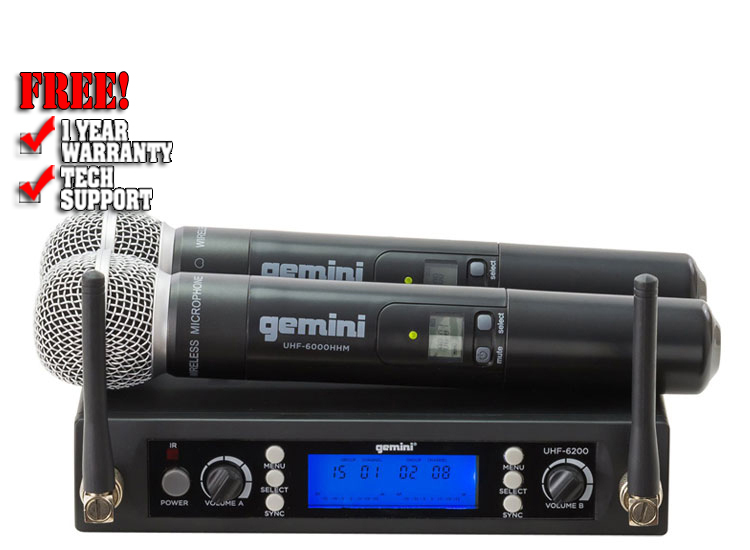 If you are a lead singer, DJ, karaoke enthusiast or anyone searching for a high-quality voice reproduction system with an unbeatable clarity and reliability, you are looking at the perfect product. Besides, the UHF-6200 comes at a surprisingly low price. The most desirable feature of the wireless dual channel receiver system out of an array of user-friendly features is the wide bandwidth of the operational frequencies. While the lower range of the bandwidth starts at 600MHz, the upper bandwidth stretches up to 960MHz, offering you multiple frequencies to choose from. 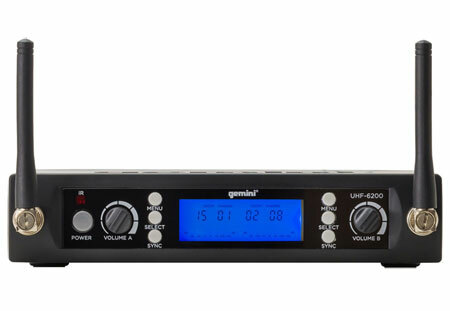 The robust UHF receiver has a 240-feet dynamic operating range, making this ideal for bars, clubs, auditoriums and places of worship. The high-end technology and the ergonomic design have the capability to withstand hard use and heavy touring throughout its extended lifetime. The ultra-fast microcomputer controlled PLL oscillation and advanced compression circuits avoid unwanted noise and the one-click solution for automatic transmitter via the SYNC button work in collaboration to offer you the crystal clear high reception you crave. Among the other various features and technologies integrated in the UHF-6200 Wireless Handheld Mic System, the high-quality LCD display is the most discussed; it provides room for flawless operation by displaying the group, channel no, RF and AF levels clearly. 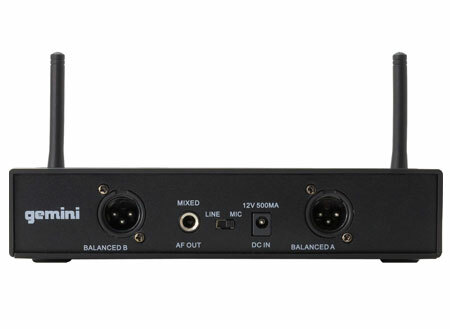 Connection with external devices has been made easier with the individual balanced XLR outputs, the mixed 1/4-inch output jack and the MIC/LINE output selector switch. 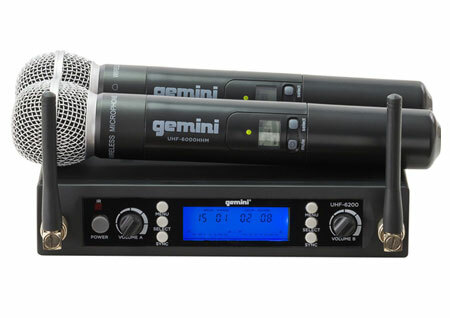 Full range volume control rotary control is the perfect gadget any vocalist or DJ would love to have in their handheld microphone transmitter.